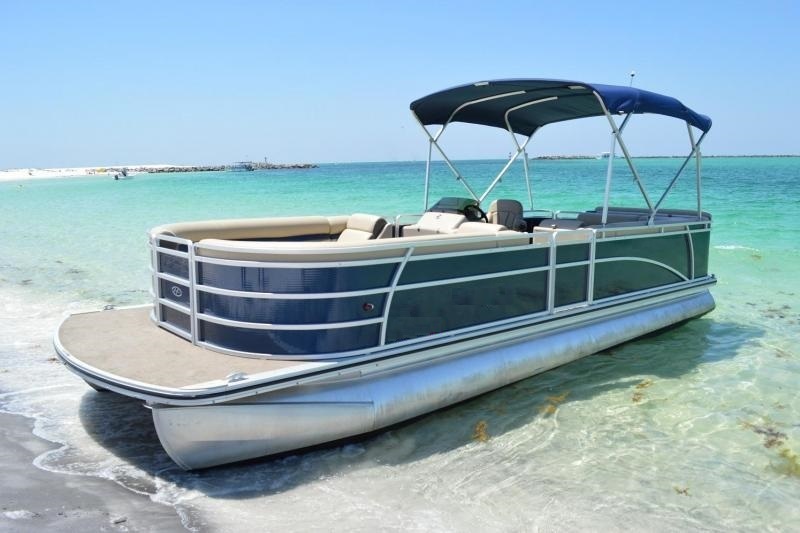 The popular Sweetwater pontoon boat is known for its comfort, excellent handling and ease of use. Very spacious with seating for up to 12 people, and there is lots of room to spare. Extremely fuel efficient, these luxurious boats are great for cruising, dolphin watching, island hopping, and fishing. Boat specifications, colors and features may vary slightly. Fuel is extra. $500.00 security deposit, picure ID and valid credit card required on all rentals. Must be 25 years or older to operate a watercraft by yourself. Any age can ride with an adult. Specials cannot be combined - restrictions may apply - rates subject to change.